A great group and a great meal. The event took place on the 8th Floor of the Butz Corporate Center Black Tower. Seven new shade and unusual ornamental trees are being added to the already impressive mix of trees in West Park. 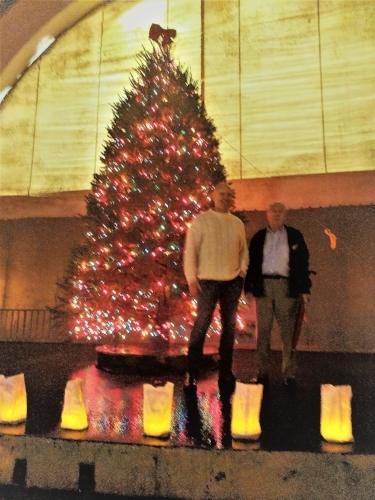 The trees were purchased with money from the West Park Civic Association memorial tree fund. A special thank you to Tyler Fatzinger and the Allentown Parks Department crew for planting the trees. There are new signs at the entrances too. Please stop by for a visit. This award recognizes an individual, family or foundation that has made a major commitment to supporting multiple arts and cultural organizations or programs in the region. Oaklander is an expert in American art and has a keen eye for remarkable talent in our region. She has procured an impressive art collection from local artists for Lehigh Valley Health Network, and she was an interim director of Collections and Exhibitions of the Allentown Art Museum. During her time with the museum, Oaklander showcased some of the region’s prominent local artists. Christine is our member in charge of Art-in-the-Park and has worked many hours to elevate the quality of the popular event. We congratulate her on her award and thank her for her hard work. We are sad to announce the passing of long-time WPCA member Althea Yuracka. Althea was a great lady who lived a long and wonderful life. A memorial fund to purchase a tree to be planted in West Park in her honor has been established. To donate click here. 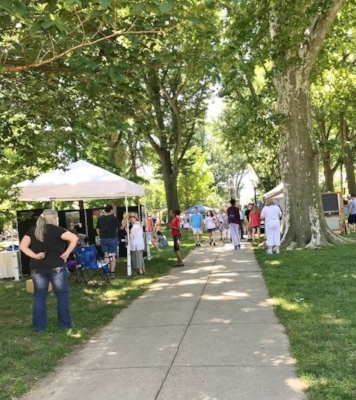 The 44th annual West Park Civic Association’s Art-in-the-Park was a resounding success. 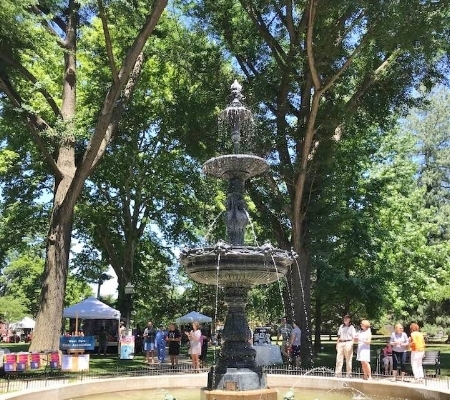 Held Saturday June 16, the weather was perfect and an estimated crowd of 2,500 visitors strolled the beautifully landscaped grounds of West Park, in Allentown. The new format for this favorite show attracted visitors not only from the greater Lehigh Valley, but from surrounding states, New Jersey, New York, and Delaware. Buying was brisk, and exhibitors and visitors had numerous enthusiastic remarks for the event, praising the improved quality and wide range of art, the friendliness of exhibitors, and the musical performances. 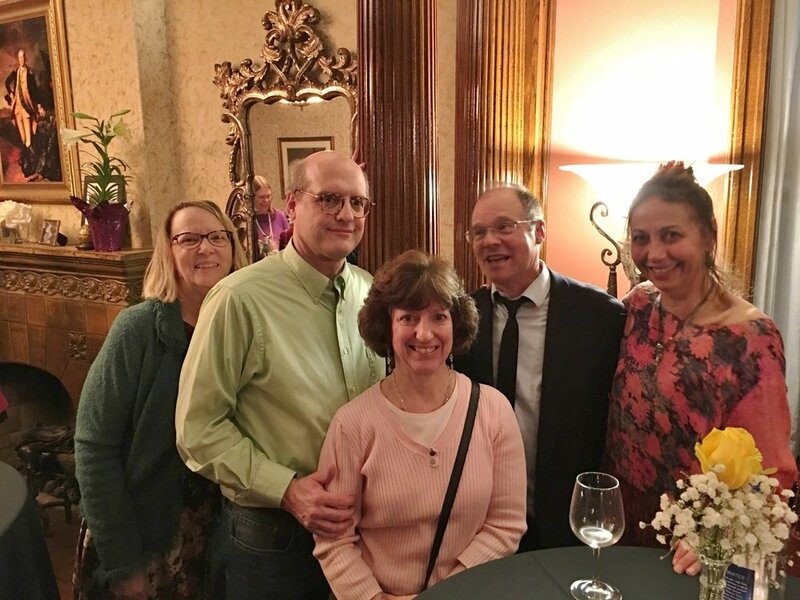 Twenty-two prizes were bestowed by VIP prize judges Michiko Okaya, director and curator of galleries and collections, Lafayette College, and Lisa Tremper Hanover, former director of the Berman Museum at Ursinus College and CEO of the James Michener Museum. Over a dozen first-time exhibitors participated, several among them prizewinners. The West Park Civic Association anticipates continuing to build upon and improve this well-established event and thanks the many visitors, exhibitors, performers, and volunteers, who made the event so successful. Our many sponsors, including City Center Allentown, Jaindl Enterprises, and LLS Graphics made this event possible, and our organization was fortunate in having their support. Helping to keep dangerous metals from our landfills. Thank you to our organizer Wendie Lazansky and other volunteers: Peter Jodik , Bill Karpovich, John Clarry, Lane Benson and Tom Yuracka. 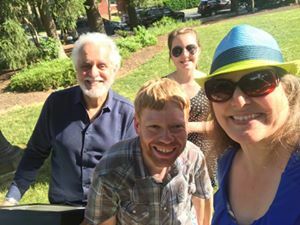 Annual Plein Air Workshop instructed by Adriano Farinella which enables us to provide the West Park Arts Education Scholarships providing means for area artists to continue thier education at the Baum School of Art. The event took place at The National Museum of Industrial History in Bethlehem. WPCA President, Thomas Yuracka with Sculptor, Dan Kainz. We are saddened to announce the passing of long time neighbor and WPCA member Peggy Egolf. She was a past president, board member, and chairperson for Art-in-the-Park as well as being actively involved in all aspects of the organization. Her hard work and dedication will be missed. Services will be held at Stephens Funeral Home Saturday, September 9, 2017. Click here for obituary. The end of a job well done. 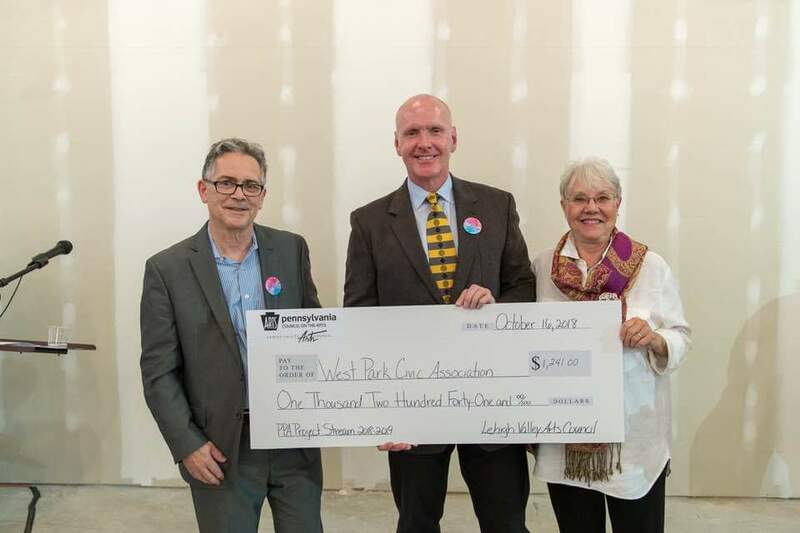 Wednesday, October 19, The Lehigh Valley Arts Council presented WPCA with a Project Stream Grant funded by the Pennsylvania Council for the Arts. The grant will be used for a cultural renaissance program offering Dance workshops, live music and plein air painting in West Park the summer of 2017. The event took place at the Facility of Smooth-On, Inc. in Macungie, a manufacturer of rubbers, plastics, and foams used in the creation of 3-D props and sets for movies.